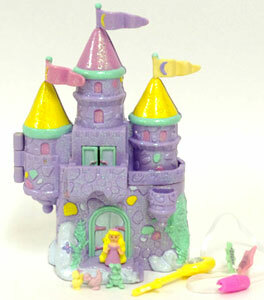 "Welcome to the Starcastle kingdom, where all your dreams come true! 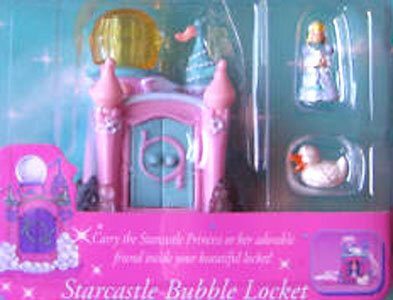 Unlock the magic and become the princess you always wanted to be!" 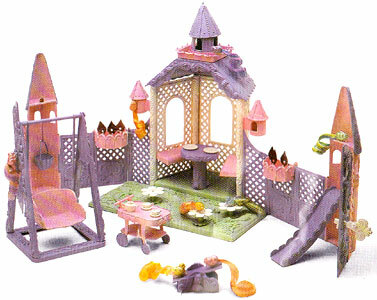 Starcastle was produced by Trendmasters from 1995 and were a series of plastic castles which opened up via a key to reveal the inner living and playing space, and came with many little accessories each. 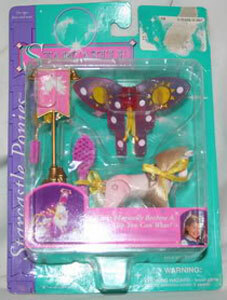 In 2001 they introduced Starcastles with Stardancer Dolls, which were better known as Sky Dancers. 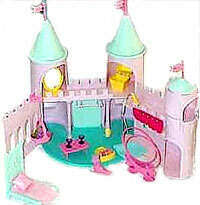 After Trendmasters ceased trading in 2002 (brought up by Jakks Pacific) at least three more castles were made for Disney using the old moulds with a fairytale princess theme. 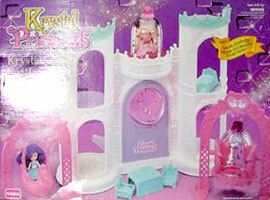 Just to make things even more confusing, Trendmasters produced several Starcastles in a variety of colours too! 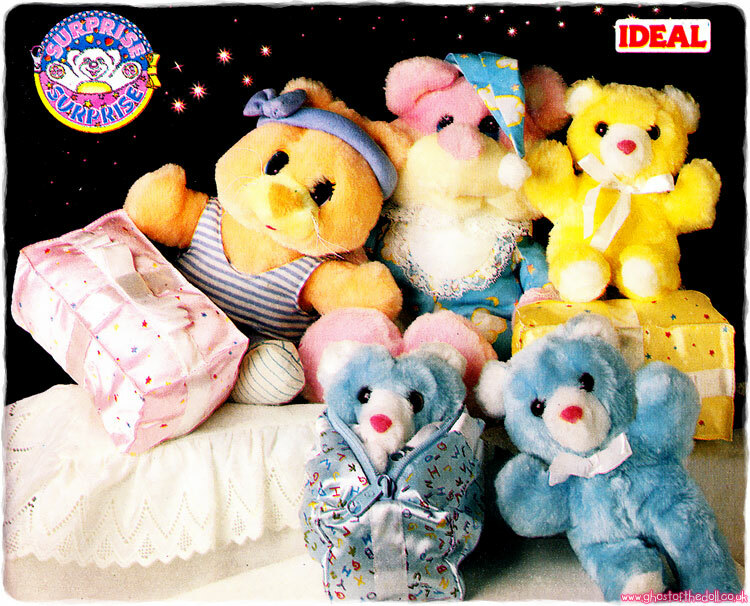 Images on this page thanks to various eBay sellers! 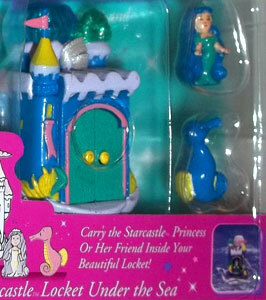 Packaging information shows that six lockets and six coaches were produced. 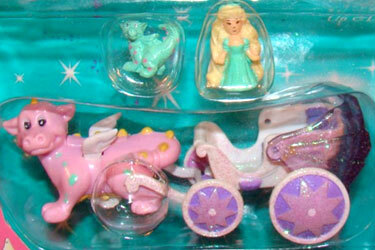 I assume that the first three coaches made matched the first three smaller original starcastles produced. 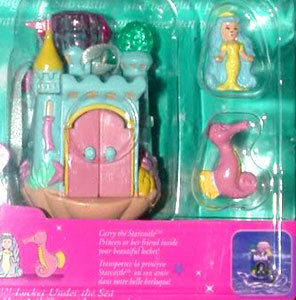 "Tour the sunny Starcastle kingdom with the princess and her friend! 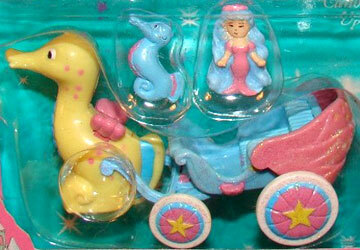 The Coach detaches and the wheels really turn! 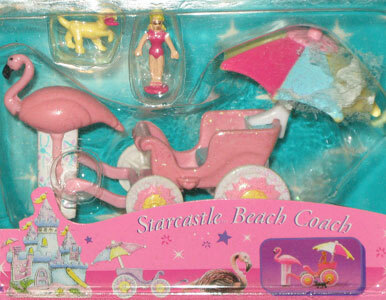 Each Coach matches a Sunshine Collection Starcastle! 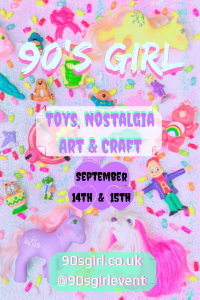 Collect them all!" 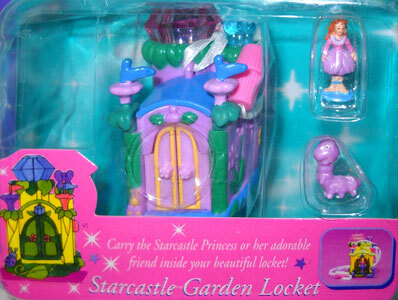 The first three lockets made matched the first three smaller original starcastles produced. 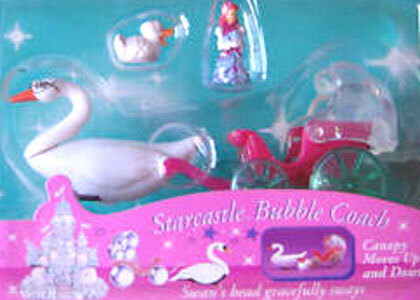 There was also at least one colour variation produced too. 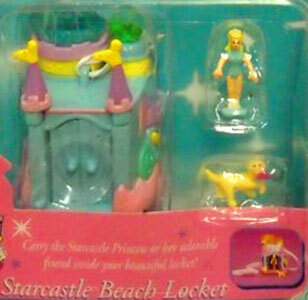 "Your very own Starcastle necklace matches a Sunshine Collection Starcastle! 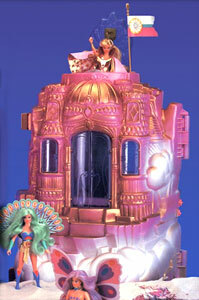 Look through the bottom to see a magical prism of colour through the tower! 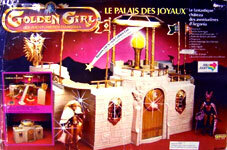 Put the princess and her friend inside and go everywhere together! 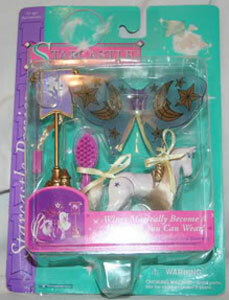 Collect them all!" 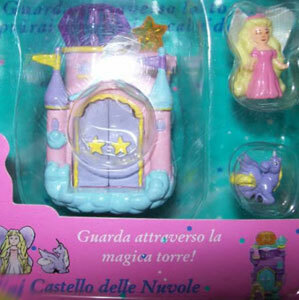 "Magical guardians of the Starcastle kingdom! 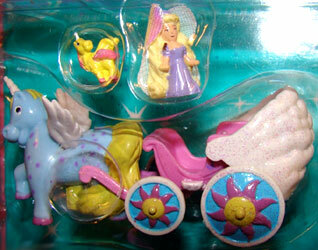 Each poseable Pony matches a Starcastle collection. 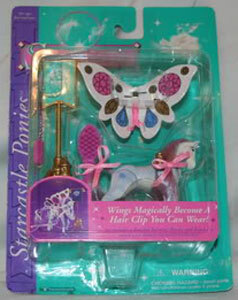 Brush their beautiful mane and tail. 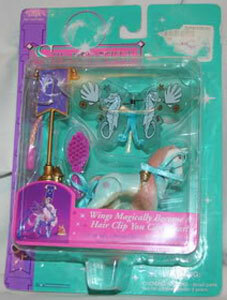 Wings magically transform into a butterfly clip you can wear in your hair! 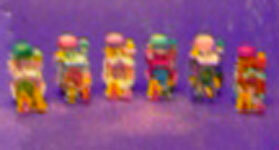 Collect them all!"